Prequel adaptations featured many intriguing differences from the films, including young Anakin saving a Tusken Raider and much more. Last time, we explored the various adaptations and other works that expanded on the original trilogy movies in an era when there were few ways to relive a story by ways of home media. Now for the prequels we arrive in a time where re-watching a movie has never been easier. 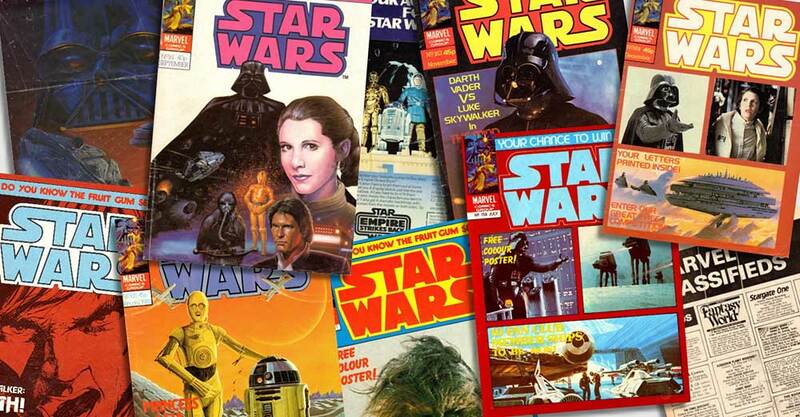 But did that make novelizations obsolete, or were there reasons to still read them? Turns out that there are many reasons to keep devouring the pages of these adaptations! 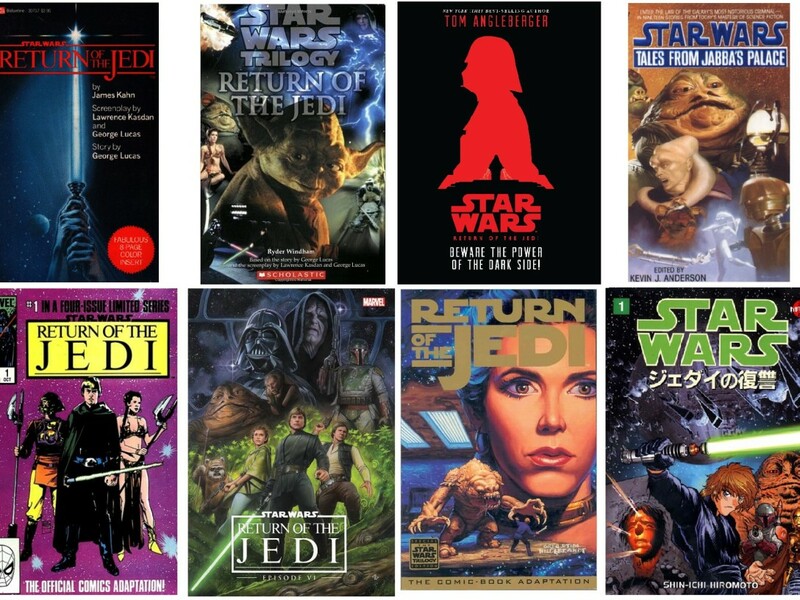 Covers of various The Phantom Menace adaptations. While this is a very good novelization that covers everything from the movie, it does feature some small changes, like how the Jedi freed the queen. The best part, however, comes from the first two chapters and chapter six, which adds the podrace in which Anakin loses due to Sebulba’s cheating. Chapter six then shows us Anakin, with help from C-3PO, trading with Jawas for Watto. C-3PO, interestingly, had just gotten his number 3 due to being the third family member. As they head back home they come across a Tusken Raider who is trapped beneath some boulders with a broken leg. Anakin, who has not yet formed an opinion about the Tuskens despite the horrific stories he heard about them, decides to help the Tusken by removing the boulders and putting a splint over his broken leg. Then he guards over him against the dangers of a Tatooine night until other Tuskens come and pick up their fallen warrior. 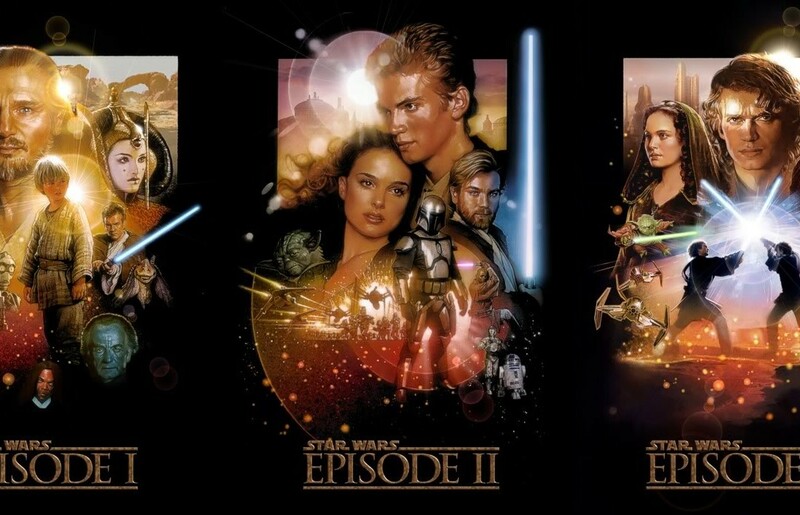 Considering the Tusken slaughter in Attack of the Clones, this clearly shows how far Anakin had fallen and how a novelization can expand on characters. Select images from the comic adaptation. The comic adaptation follows the movie closely enough, but has quite a few differences when it comes to condensing the lengthy podrace scene for the limited amount of pages available. The race features some of the beats in the movie, but is mostly different. For starters, Ben Quadinaros races in Boles Roor’s podracer instead of his own unique four-engine vehicle. Speaking of Boles Roor, while he is not seen in the movie, the comic actually does show him when all the podracers are introduced by Fodesinbeed. 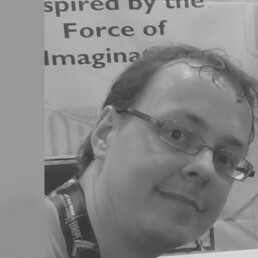 Fodesinbeed, in turn, looks like his older appearance that ILM changed relatively late during production and presumably too late to correct for the comic adaptation. 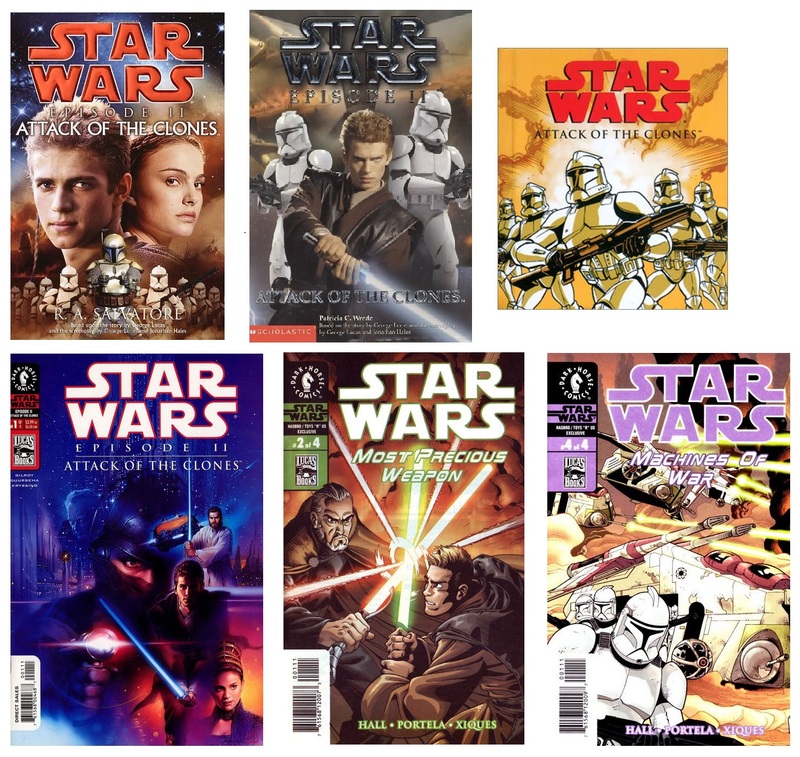 Released around the same time of the comic adaptation, these five issues tell new stories within the timeframe of the movie from the perspective of Obi-Wan, Queen Amidala, Anakin, and Qui-Gon. A special Wizard 1/2 issue was also released with even shorter new stories from all these characters. The most interesting story of this 1/2 issue was the one that continued from the deleted scene in which Anakin fought with Greedo. While the manga comic adaptation does not really show anything new from the movie, this adaptation benefits greatly from being published after the movie was released in the cinemas. This, along with the higher total page count, made the manga version more complete and closer to the movie than the US comic adaptation. 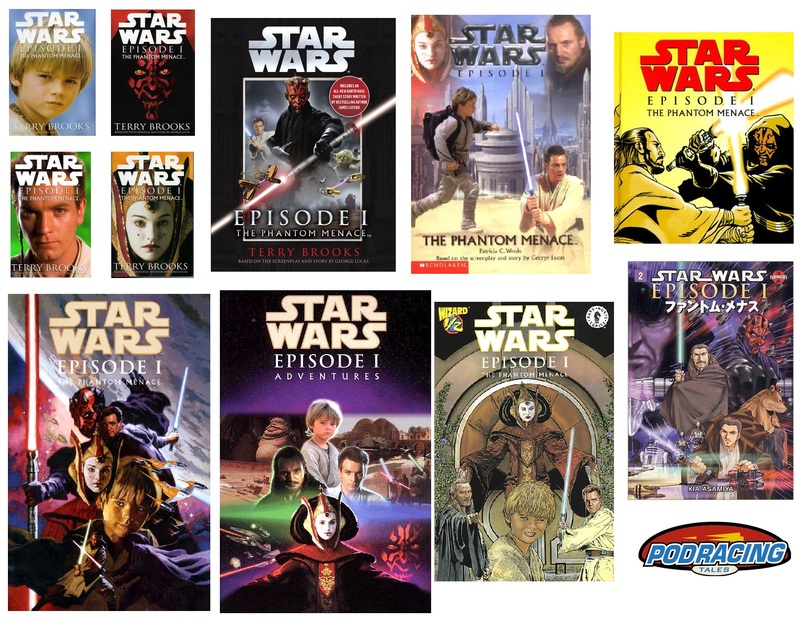 Also adapting and expanding the movie: Podracing Tales (webcomic focused on the podracers during the movie), Mighty Chronicles (storybook), the junior novelization by Patricia C. Wrede, and the Episode I Journals (young adult novels retelling the movie from the point of view of Darth Maul, Anakin, and Queen Amidala). While family connections have always been a vital part of the saga as a whole, the prequels really started to broaden this aspect by showing where Luke and Leia came from. This novelization actually shows the most of those family connections. The most common example would be meeting the Naberrie family as seen in the deleted scenes. The filmed (but still unreleased) conversation between Padmé’s father Ruwee and Anakin in the garden is also included. In the meantime, Jango Fett shares some quality time with Boba. And also included is the Lars family, with details like how the abduction of Shmi happened and the failed rescue attempt of Cliegg’s, which caused him to lose his legs. 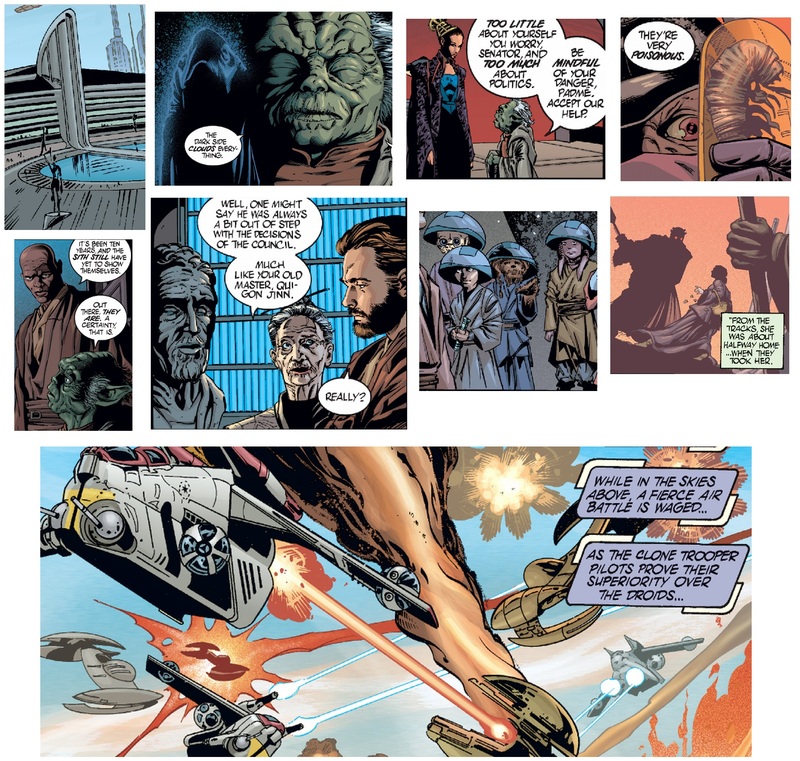 With four more pages per issue than its predecessor, the comic adaptation of Episode II is much more rounded out and complete, although the scroll is missing text instead in three caption boxes in the first panel. 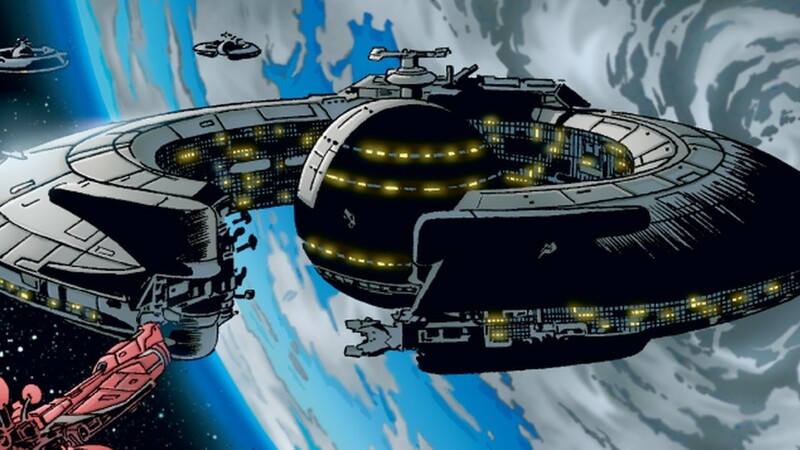 Many of the deleted scenes can also be seen in the comic like the Jedi Temple analysis droids. The most obvious missing deleted scenes are those with Padmé’s family. Another peculiar cut from the movie is that Anakin does not witness Zam Wessel shapeshifting. While she does so earlier in the comic (while meeting Jango), this makes Anakin’s dialogue about “him being a she” in the Outlander a bit strange. With Aayla Secura making the leap from the comics to the actual movie, her master Quinlan Vos did the opposite, originally a movie extra in Episode I (who does not appear in its comic adaptation) who can be seen fighting in issue four of the adaptation. In these two (out of four) exclusive comics released by Hasbro/Toys “R” Us we get extra scenes during the movie. 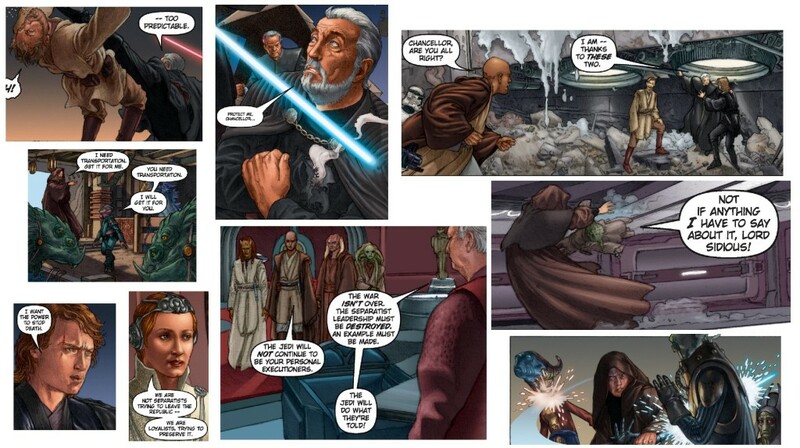 Most Precious Weapon shows Count Dooku reminiscing about his past life with Yoda right after he escaped their duel. Machines of War expands on the Battle of Geonosis taking place right after Yoda rescued his fellow Jedi from the Geonosian Arena. Also adapting the movie: Mighty Chronicles (storybook) and the junior novelization by Patricia C. Wrede. 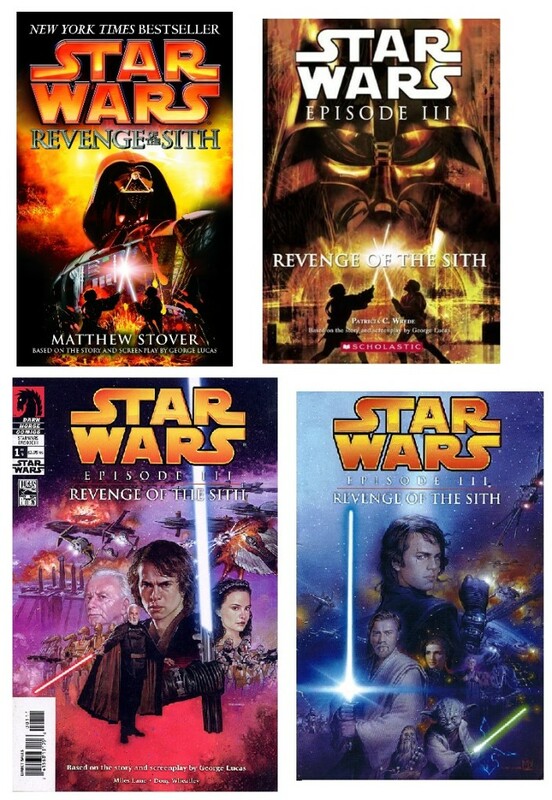 Covers of various Revenge of the Sith adaptations. In a novelization that changes quite a fair number of things from the movie, the deletion of the entire Kashyyyk sequence is by far the most obvious. Another big change comes regarding the emotions of Anakin while killing the Separatist leaders. While he is clearly crying in the movie, he joyfully kills them with one-liners in the novel. 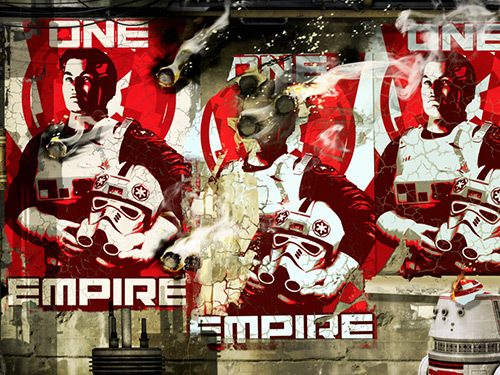 A very nice addition is that Needa from The Empire Strikes Back makes a cameo during the Battle of Coruscant. 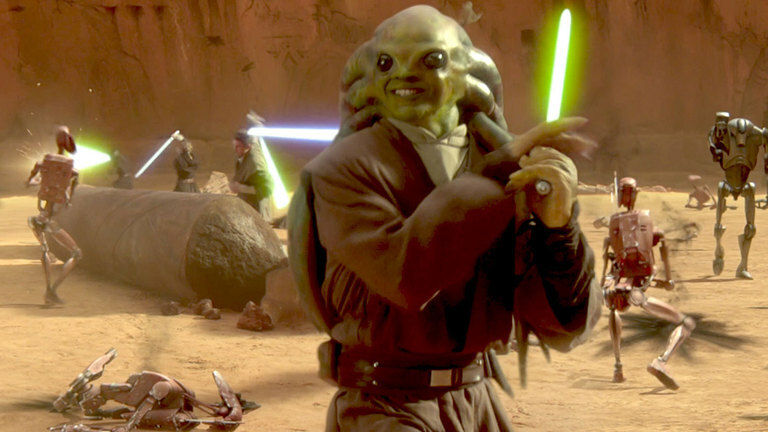 The attempted arrest of Palpatine by Mace Windu and co. also got expanded, as it was recorded and later played to the Senate, showing how ruthless the Jedi were acting against him. All the deleted scenes dealing with Bail, Mothma, and the start of the Rebellion were also included in the novel. 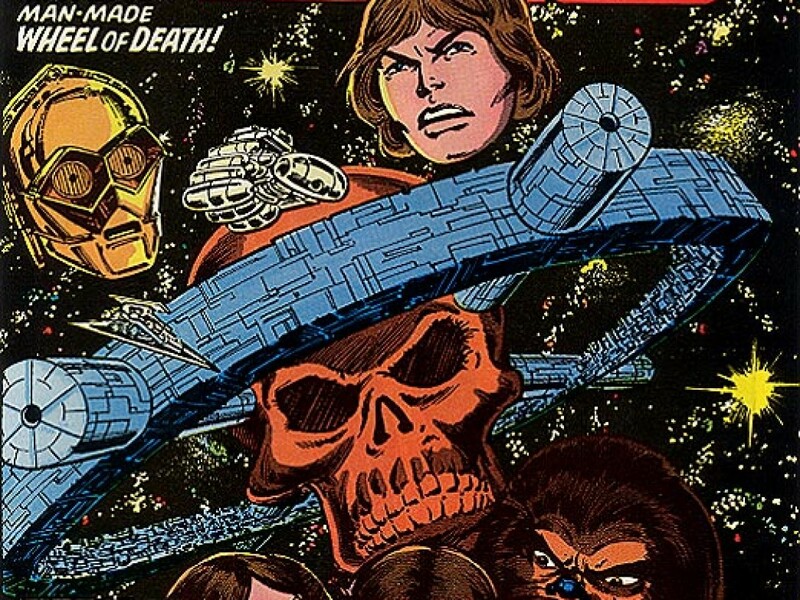 With the movie being the first Star Wars film to ever receive a PG-13 rating due to the dark undertones and violent nature (like Anakin burning alive), it must have been difficult to adapt the story for a younger reader audience. Wrede understandably did not include Order 66, but has Palpatine instead feel the Jedi dying through the Force. Another cut in the novel comes a bit earlier by not showing the duel between Mace Windu and Palpatine. Instead, it picks up when Anakin arrives in the office. Something that was added to the junior novelization was an explanation of Palpatine getting disarmed by Yoda, hence the sudden change in their duel from lightsabers to Force usage. While the opening scroll is back again, the rest of the comic adaptation is a bit strange with the things it cuts, adds, or changes (like Luke not being born first). Among the many things removed are the elevator scenes, Artoo’s heroics aboard the Invisible Hand, and a couple of Order 66 deaths. The entire Kashyyyk battle has been reduced to one panel, yet we do see Luminara Unduli and Quinlan Vos becoming Order 66 victims, which the movie never showed. Also it seems odd to discuss Darth Plagueis while leaving the opera and being among a crowd of people. 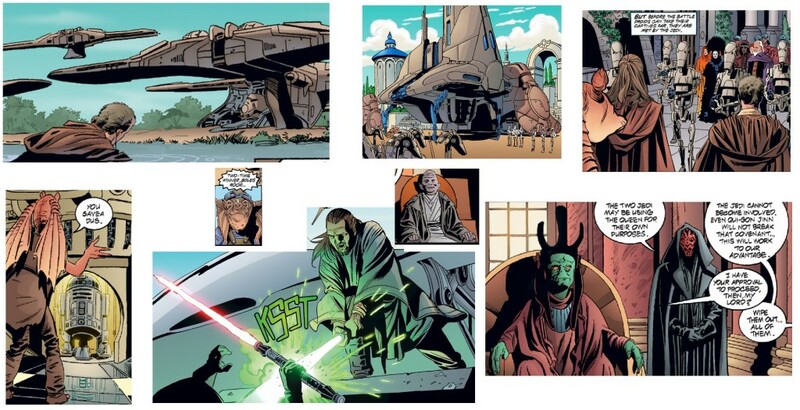 However, the comic does add many interesting little moments like the conversation Yoda has with Qui-Gon Jinn. 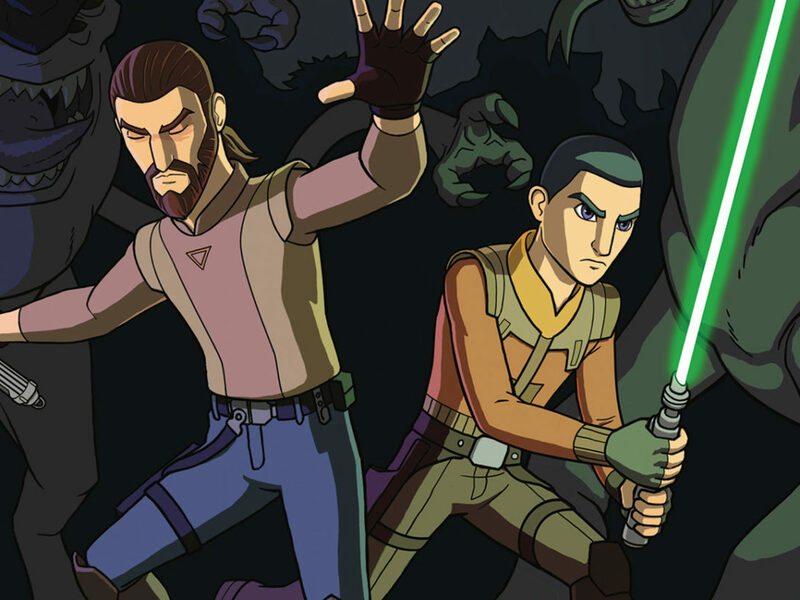 This Legends Hyperspace-exclusive webcomic follows the adventures of Stass Allie, Barriss Offee, and Aayla Secura during the last days of the Republic with many cameo appearances of Separatist leaders and planet locations from the movie. While Revenge of the Sith is the movie with the fewest adaptations released at the same time as the movie, they share one thing in common: Order 66. Noteworthy depictions of movie characters during Order 66 include the Republic comics (the deaths of Luminara Unduli, Stass Allie, and Plo Koon, while Quinlan Vos escapes), the Dark Times comics (the escape of K’Kruhk), and the Purge miniseries (the death of Jocasta Nu).